Piscari-Fly : Its All in the Head....What matters most the body or the bead head?. Its All in the Head....What matters most the body or the bead head?. Recently I posted a question on social media: "What is more important to you the body of the nymph or the bead ?" The results were close enough with 46% voting that the bead is most important and 54% voting that the body is the important aspect of the nymph. For me I am finding more often over the last few seasons that I am more focused on the bead size and colour rather than the dressing behind it when researching what is catching. Over my last few fishing trips through out Europe, I have noticed a lot of anglers tying there nymphs in a style that has large beads and very small bodies. This observation lead me to this question and wondering if the body of the nymph truly mattered a great deal in the nymphs make up. Yes you can argue the point it has it purposes of moment and coloured hot spots to help attract fish. For me to understand how important it really is we would have to see actually how successful would a plain bead on its own with out a body. 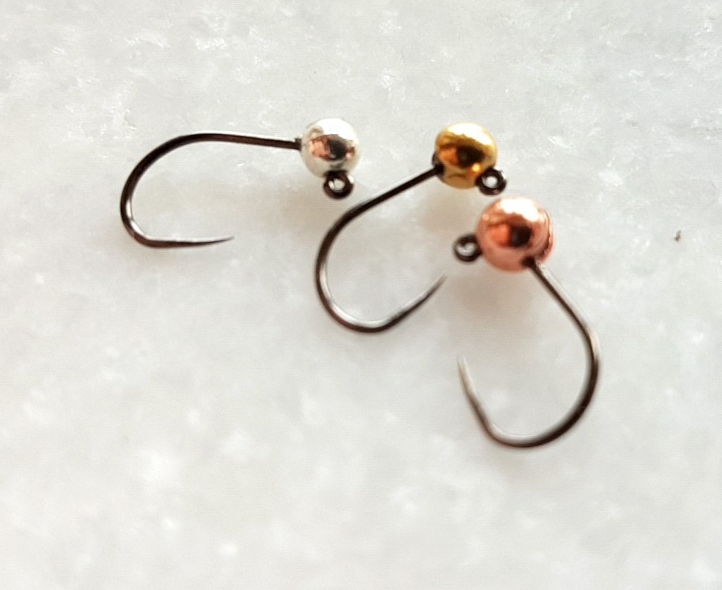 The bead serves several purposes on a hook, one to find the depth of a fish and secondly the colour options also give it the ability to attract fish takes. 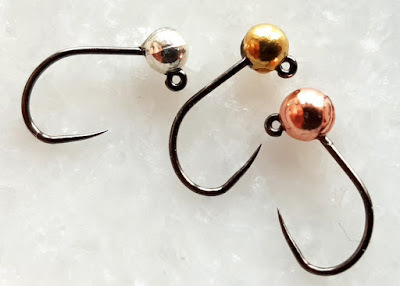 So one morning I decided to head to the river and fish just beads on a hook, no body, no tails, no thread, just a bead super-glued on to a bare hook. 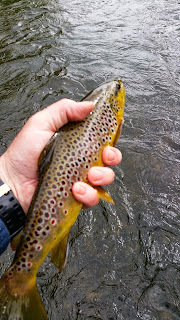 Using my normal nymphing rig and fishing no different that any other time, I cast the body-less nymphs into the stream and it didn't take long till I began to get my answer. Within a 20 minute period I had successfully landed up to 18 fish ranging in sizes from six inches to nice lumps around the ten inch mark. The takes were just as aggressive as normal ones and I caught the fish in fast and slower water where the fish had time to inspect the bait. Now I am not saying that we should abandon the nymph bodies all together, as on any given day one thing will work better than another. However this dose show us that the emphasis on the bead can be crucial and it can be the factor that catches the fish. It is also something that I will have in my box for next year and do some more fishing with to see how it fairs out over a longer period of time on the rivers. This is something for you to mull over during the winter tying months as you prepare for next seasons fishing and are filling your boxes with your favorite patterns . Check back soon as over the coming weeks ill be looking at some Winter tying and preparations for next season, I will be posting some of my favorite patterns that I wouldn't be without going into 2019. I hope you have enjoyed reading this post. If you have any questions or queries please feel free to contact me. Also make sure and check out my website www.piscari-fly.com for all your tungsten beads, Dohiku barbless hooks, the amazing Syndicate Fly Rods, Reels, leaders and much more. Thanks for reading. Hello Peter, Team Canada Claude here. 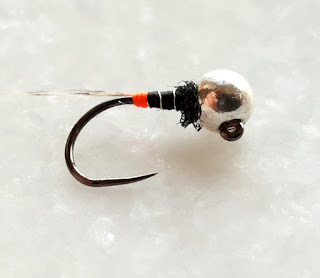 A funny thing is that I too have tried the hook and bead alone with good success, especially in fast water here in Canada. I suppose trout are likely mouthing anything that could be food, only to spit it out if it is not. 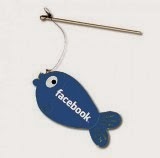 That is where the hook come in to play, lol. I have been a devoted fly-fisher and a flytyer for many years now, through fishing rivers and lakes all over Ireland and other parts of the World I have gained some knowledge in this ever developing field of sport. We would like to share with you a large range of fly tying products and flies that we have discovered. If you wish to contact me you can do so by leaving a comment at the end of a post or on pdriver1410@gmail.com. For all your flyfishing needs and questions contact me at pdriver1410@gmail.com or 087 9787040. Doubling up under the Dry Fly. Early season Dry Dropper on The Blackwater Co Cork. Wet fly & spider fishing: A productive approach that should always be considered. Some good Sedge's and how to fish them. Peter Driver Fly-tying. Picture Window theme. Powered by Blogger.